The University of Maine at Farmington men's rugby team's bid to compete in nationals ended in a close contest against Salve Regina with a score of 39-36 on Nov. 12. The team photo was taken after the Beavers won both their matches at the playoffs held at Colby College on Nov. 3 and 4. 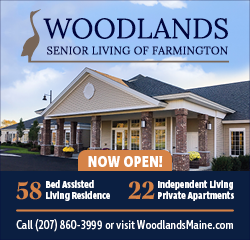 MIDDLETOWN, RI - Due to Mother Nature's unpredictable weather twist, the men's University of Maine at Farmington rugby team was unable to host their playoff match on Sunday Nov. 11. Instead they had to make the 4.5-hour drive to Middletown, RI to play Salve Regina RFC on a cool Monday night, leaving behind key players who were unable to get released from prior commitments. Nearly as soon as the match started, Salve was the first to get on the scoreboard. It wasn’t long after their first when they put another try on the board. UMF refused to let up and the talented backline was able to punch through after a big run by their NSCRO all-star and captain, Jack Neary. However, shortly afterwards the captain was penalized and had to sit out for 10 minutes after an alleged hands in the ruck call by the ref. With the 15 vs 14-man advantage Salve was able to extend their lead by some cleverly executed kicking for territory and the subsequent pressure resulted in a score in the corner to make a 17-5 deficit for the Beavers. With 30 minutes gone in the match, UMF’s own Cormac ‘The X-Factor” Miller arrived and almost immediately stepped onto the pitch vowing to make a difference. With only 10 minutes remaining Miller went to work and the Beavers pulled within 5 points at the half adding a score of his own. Salve was sitting at a 22-17 score, but momentum seemed to favor the Farmington men going into the second half. Throughout the 2nd 40 minutes, UMF and their relentlessly attacking fly half, Killian Miller received steady ball from his forward pack and scrum half Patrick Powers. This allowed the backs to feed senior full back Shane O’Neill who was a line breaking menace, bursting through Salve’s defense nearly every time he touched the ball. Resembling something of a heavyweight boxing match, the two squads traded scores until UMF was able to pull within just 1 point with less than 15 minutes to go. An experienced Salve Regina was able to use pressure and field possession to their advantage, and scored a well earned try. The subsequent conversion put Salve up by 8 with less than 5 minutes remaining. Co-Captain Ian Morrison gathered his men together urging the Beavers to believe in one another and steal the match. UMF made that possible with another break by the Miller brothers, going deep into Salve’s territory with Cormac Miller touching down for another try. Brother Killian Miller hurried the UMF men to midfield to receive the kickoff and get one last shot for the Beavers to go home victorious. However, Salve was able to steal the ball away from the ensuing kickoff and slowly run out the clock using their heavy forwards taking one crash ball after another. Despite desperate attempts to turn over isolated ball carriers and challenge Salve rucks, the Salve Regina scrum maintained possession until their all star scrum half kicked the ball out of bounds for a final score of Salve Regina 39, UMF 36. While the team pulled together in the absence of a few regular starters and their replacements performed with a truly valiant effort, Salve Regina's game plan was executed too well, and the Beavers ran out of time and opportunities to pick up one more score. Though the season is over for Fall 2018, this squad of men have truly left a legendary legacy: They've won two NERFU Championships, a Beast of the East Championship, a couple of Maine Cups and finished last year ranked at 7th in the country. 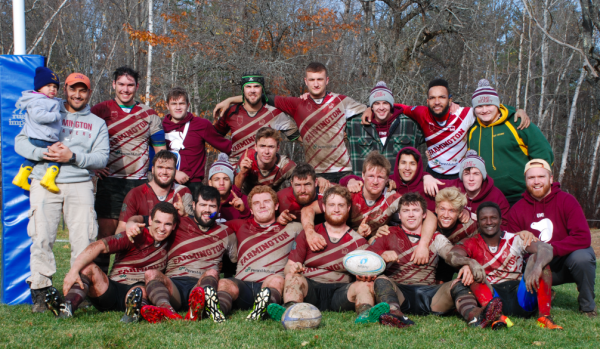 They’ve amassed a 24-2 record in the past 12 months, which is an unparalleled accomplishment for the nearly 30-year history of Beaver rugby. For these men they will look towards their spring season ahead with heads held high as they hope to conquer more hardware in spring tournaments. Who will know what next year will bring, but as far as the NERFU Champions Cup is concerned, the Beavers are the finest in the land.